Get a cache of easy sensory activities for toddlers that aren’t just fun and keep your kiddo busy, but also help them develop and learn! If there’s one word I’d use to describe toddlers, it’s busy. Dump the toys out, drag boxes out of the pantry, and then chase the cat around the table as they knock everything over in sight. While having a toddler in the house is an exhausting time, it’s also exciting. Toddlers are growing and learning almost constantly through play and exploring their environments. And one way development, learning, and even communication can increase is through sensory activities for toddlers! A sensory activity is any type of play or action that gives stimulation to our senses. But, there are actually 7 senses, not just the 5 you learned in kindergarten (sight, sound, smell, touch, and taste.) The two additional senses are our sense of movement, called our vestibular sense and is located in our inner ear. And, our sense of body awareness, or the proprioceptive sense. We get sensations from this sense from muscles and joints throughout our whole body! 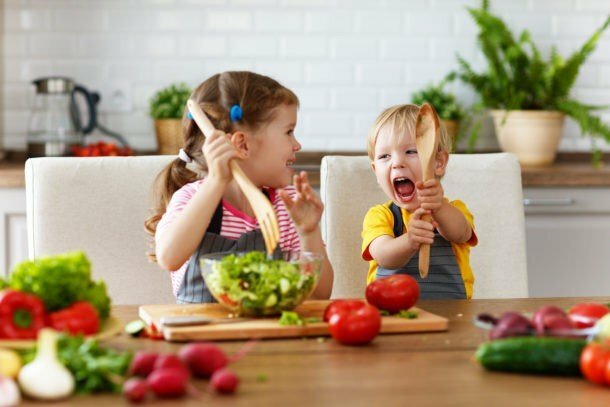 Basically, toddlers are participating in a sensory activity anytime they are moving, jumping, touching, tasting, hearing, seeing, and smelling. But, you can give them a super dose of sensory with the activities I’ll share below. 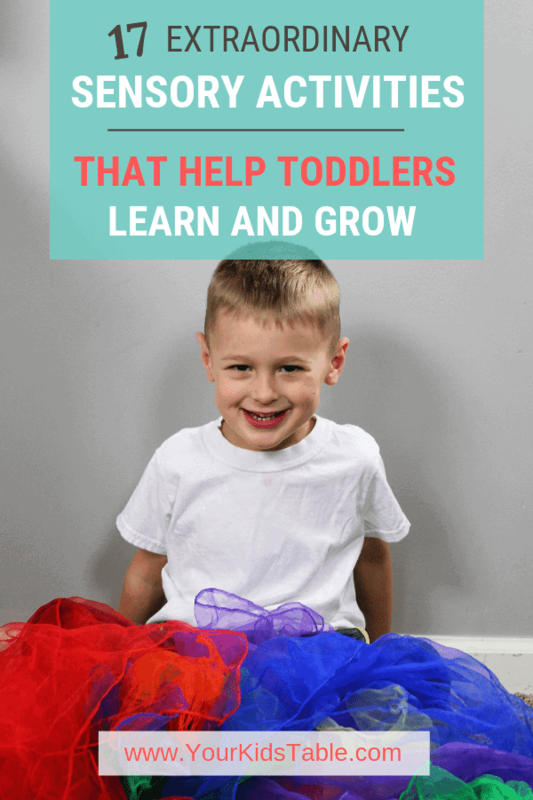 Why Should Toddlers Do Sensory Activities? You might be asking yourself why it matters, and that’s a good question. 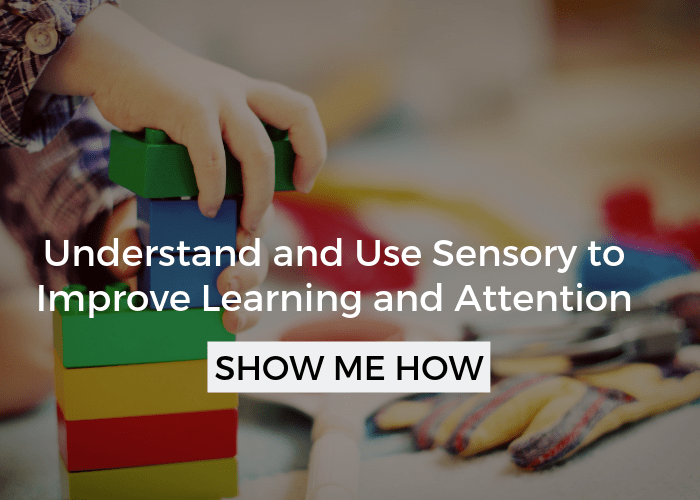 The reason you see sensory activities while scrolling through Pinterest is because the stimulation of the senses that happens during these activities actually improves brain function and development. And, this is even more powerful when kids at a young age, like toddlers, participate in them! As crazy as it sounds, sensory activities in the toddler years can help them be better readers and attend well when they’re in school years down the road. But, Some Toddlers NEED Sensory Activities! Besides sensory activities for toddlers being awesome for overall development, some toddlers might really need them. 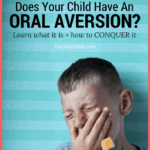 Some children seek out or avoid sensations from the senses more than the typical child. This isn’t a bad thing, but it can interfere with their ability to do things toddlers need to do. For instance, sensory issues in toddlers may look like difficulty quitting one activity and starting another (transitioning). 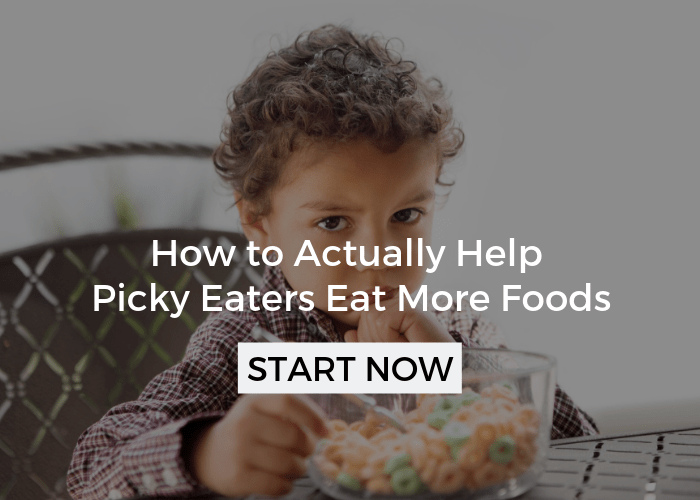 Or, they may freak out if they walk barefoot in the grass, go down a slide, or taste a squishy texture. On the other hand, your toddler might be wild, climb the furniture, and make the energizer bunny look like a slow moving tortoise. 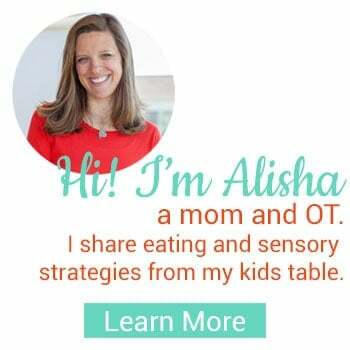 Check out how to maximize sensory activities for your toddler with these sensory diet cards. 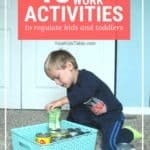 I don’t like over-complicated and time consuming activities, especially for toddlers, because by the time you get something elaborate set up, they’ve already lost interest. And, if you’re anything like me, you’re always short on time. That means the list of activities below are meant to be E-A-S-Y, but as an occupational therapist, I’ve selected some of the most powerful ones. I love when toddlers can complete sensory activities solely on their own, I think it’s more beneficial for their development. 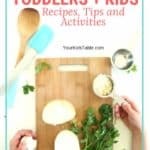 But, you’ll also find some activities for you to do with your child and I think they hold their own special benefit: connecting more with your child. And, who doesn’t want that? Before you ever offer a sensory activity to your toddler, you must know to never force them to participate. 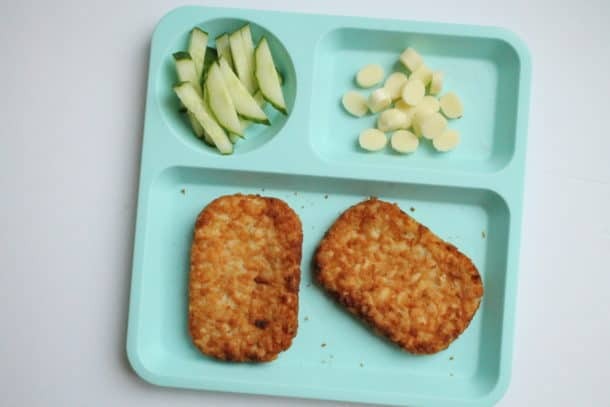 The way a child experiences sensations is completely unique to them, and while your intentions are in the right place, making them try something can cause harm to their sensory system. However, that doesn’t mean that if your toddler doesn’t want to play in the finger paints that you shouldn’t encourage them, demonstrate, and try to make it fun. More than that though, I’d want you to try and make it simpler for them. With the finger paints, that could mean offering a paint brush instead. And, it also means to keep trying the activity. We always want to help toddlers break down any sensory sensitivity they may have. Think finger painting, making play dough, playing in the sandbox, or making mud pies in the back yard. But, don’t stop there, the sky’s the limit. Head to messy play for babies and toddlers for more ideas. This is one of my favorite sensory activities as an occupational therapist. 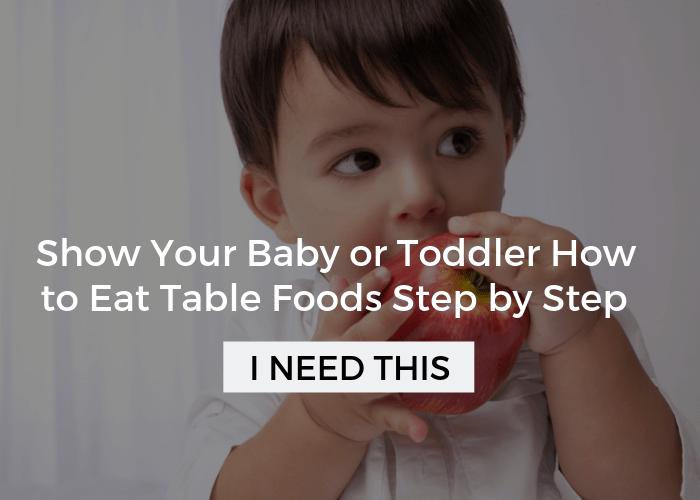 If it’s a large ball, you’ll need to help your child and push down on the tops of their legs or hips to get them bouncing, but if it’s a smaller ball, your toddler can bounce themselves while sitting on the ground. This peanut shaped ball is perfect for making sure they don’t fall over because they can straddle it. Did you know this old school parent/child game packs a ton of sensory input? You’ll be stimulating those vestibular and proprioceptive senses in a big way. For kids that are scared of movement, this might be too overwhelming though so use extra caution. If the airplane is too much for your toddler than bouncing them on your knee or while laying on your back like I am in the picture above might be tolerated better. Remember start with small steps! Swinging is a classic sensory activity, but think beyond the average playground swing, although they’re great too! If you have options in your back yard, tire swings and these newer spider net swings allow for swinging in a large circle which gives different types of valuable sensations. I also love to use a blanket if you have another adult around. Have your toddler lay in the middle, each adult grabs two corners and swings back and forth. 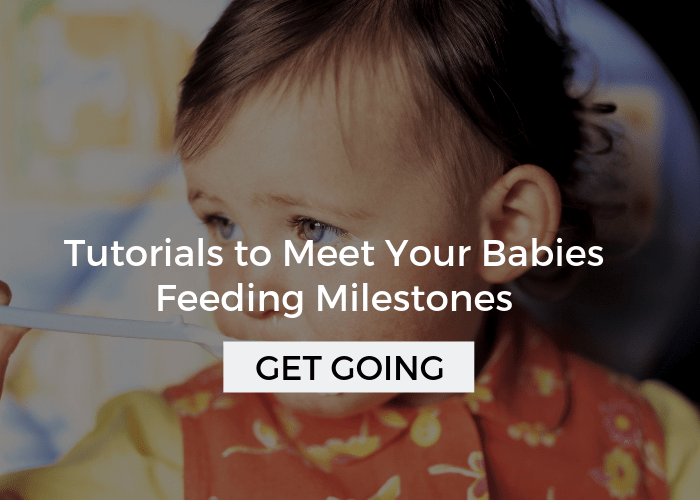 There are lots of different ways for toddler to rock back and forth. Think about rocking chairs, gliders, rocking horses, or these cute little egg chairs that stack up easily and are the prefect size for toddlers. My kids just got these stones for Christmas and they were a huge hit! They might be a little bit challenging for toddlers to balance on, but it’s great practice for them. Using a low to the ground balance beam or even a rope laying flat on the ground can work on their balance too! Pushing and pulling activates that proprioceptive sense and can be very calming to lots of toddlers. If you’ve got a push toy or toy shopping cart they work perfect, but you can even take it a step further and load them with books for extra weight and input. A weighted lap pad is simply a small pillow or stuffed animal that’s heavy. You can make one yourself with dry beans or plastic pellets, but lots are available ready made too. Check out my whole guide on weighted lap pads here. They’re perfect for kids that like to crawl into tight spaces, and can help kids that have difficulty calming down. Sensory bins are a form of messy play and they can keep toddlers entertained for an hour or more! Seriously. Sensory bins are a box or bin of any size filled with a texture to play in. 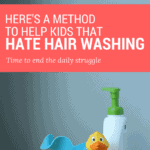 Anything from dry cornmeal to shaving cream. Add in some cups, shovels, and plastic toys and your toddler is getting loads of tactile input that will improve their sensory processing. These scarves are super cheap, but you can also make play scarves from fabric scraps. Toddlers with jump in them, cover their face, and pull them out of containers like an empty tissue box. Pull the couch pillows off and let your toddler jump and crawl all over them! Don’t over think this, it’s very simple and besides all of the sensory input they’ll get from climbing, crashing, and jumping, they’ll also be entertained for a while. Besides the pillows, you may want to allow jumping on the couch, their bed, or on a small trampoline! Either when you’re cooking or just for fun, invite your toddler to smell different spices from the cabinet. Be careful not to label any of the smells as good or bad, but instead “big” and “small” smells. This smelling activity will help them understand smells in a new way which can help with eating new foods too. Kicking a ball isn’t something all toddlers will naturally seek out, but for their little developing bodies, it actually gives a lot of proprioceptive feedback. Plus, they have to use their vision, hand-eye coordination, and balance to kick the ball back to you. Use a larger ball so it’s an easy target for them to kick. Yes, I know this goes against every playground’s rules, but for toddler’s, focus on small slides with very close supervision. Because climbing up the slide, and then sliding back down, gives tons of fantastic sensations to the sensory system. It also helps with motor planning and core strength. Grab some painters tape and stick some bubble wrap to the floor for your toddler to walk and jump on. Lots of different senses are getting input here: auditory (popping noise), jumping (proprioceptive), tactile (feeling of bubbles under feet.) If you want to see an example check this out. A great way to work on your child’s tactile processing is to put some simple hidden objects into a box or bag and have them feel for the one you requested. So it goes something like this… You place 3-4 random objects in a box with a hole cut into it. Think about a cup, car, ball, etc. Easy to identify. Ask you toddler to put their hand in and find the ball/cup/car. Voila! Find more feel and find ideas here. Wonder If There’s Any Sensory Stuff Going on with Your Toddler? If you were reading through here and wondering if your toddler might have some sensory “issues” or needs, but aren’t sure, then grab my free printable: 21 Sensory Red Flags You Might Be Missing. While sensory is unique and there are tons of different signs, I’ve compiled some of the most common and misunderstood. Click here to get the free printable in your inbox! My 2.5 yo loves soap! She will carry around a soap bar for hours, just as she goes about her day, stopping to sniff or rub it occasionally. And gooey hand soap is so squishy and fun, she can spend 10 min just squishing it all over her hands and arms. Lip balm/ chap stick is another favourite, and is perfect to pull out in waiting rooms etc. As long as you are happy to get funny stares as you sit next to a toddler grinning with very well moisturised lips, chin and cheeks. It gives great sensory input for smell, taste and feel and I find it helps calm her. If it gets on clothes, a bit of dish soap gets it right out. My 4 yo son has ASD and SPD, and all the sensory “awareness” I have gained as a result has helped me understand and appreciate my daughter’s sensory needs too, despite her having no such diagnosis. Oh Cyndall, I just love that. It’s so cool that you can see those things and that you let her do these things that might seem a little out of the norm – because the truth is, does it really matter if she carries around soap? No, of course not. But allowing her to do so helps keep her sensory system in balance! Love the chapstick idea, genius!